Bahrain is a small island with a population of just over 1 million people. Bahrain's total area covers 770 sq km; it is the smallest of the six Gulf Cooperation Council (GCC) member states and consists of 33 islands. Strategically located with a 25 km causeway connection to Saudi Arabia and the rest of the GCC, Bahrain is seen as a gateway to the Gulf, a market of over 100 million people. A 40 km causeway to Qatar is scheduled for completion by 2015. In addition to its geographical location, the discovery of oil in 1932 laid the foundation from which Bahrain is transforming into a modern diversified economy. Bahrain's population is estimated at just over 1 million people - approx: 50% are expatriates - workers from India, Pakistan, Bangladesh & Philippines + western expatriates. Bahrain's business sector is supported by the most productive, highly-skilled bilingual national work force in the GCC (approx: 72% of the financial services work force is Bahraini). Although Bahrain's economy is relatively small and under the shadow of the economic power houses of Saudi Arabia and the UAE, it has the most liberalised economy of The GCC. They began a programme of education, labour market and economic reforms from (circa) 2006 to enhance its competitiveness in the modern global economy. It's favourable tax regime (the most liberal in the Gulf), low cost base, proximity to Kingdom of Saudi Arabia, reputation for transparent regulations and good quality of life, have helped it to compete for international trade & investment. Like most Gulf economies, Bahrain relies heavily on oil and gas, but its resources are quickly running dry forcing the need to diversify the economy into other sectors and to look at developing non-oil government revenue, including (e.g.) value-added tax. The Bahrainis have successfully built up the tourism (including annual F1 Grand Prix), metals (particularly aluminium), transport and financial sectors. For more the most accurate and up-to-date economic statistics and information please visit the Bahrain Economic Development Board. The UK Bahrain relationship is traditionally close. There are strong historical ties and many of the leading Bahrainis have studied in the UK and/or have property and interests there. The ruling family has a close relationship with the UK Royal Family, as well as close ties to the military, particularly Sandhurst. British advisers were instrumental in the establishment of the Bahraini system of government and many British nationals currently work, independently within Bahraini Ministries. HM King Hamad bin Isa Al-Khalifa succeeded his father (Shaikh Isa bin Sulman Al-Khalifa) as Ruler in 1999 on the latter's death and began to transform Bahrain into a constitutional monarchy. HM King Hamad pardoned political prisoners and detainees in 2001, including those previously exiled from Bahrain. He also abolished the State Security Law and State Security Court, which were much criticised by opposition groups for suppressing freedom. 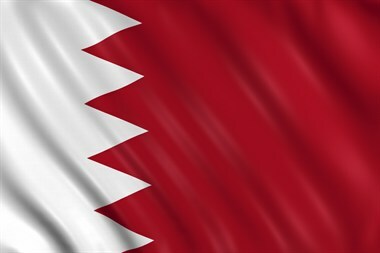 After referendums and consultation, HM King Hamad presented Bahrain's new Constitution on 14 February 2002, which set out plans for a bi-cameral Parliament (the National Assembly) and transformed Bahrain into a Kingdom. The Parliament comprises two Houses - the Shura (Consultative, Upper House) and the Nuwab (Lower House, Council of Representatives). Both Councils consist of 40 members, the Shura appointed by the King, and the Nuwab elected by the public. Members of both Councils serve four-year terms. Sessions of the Shura and Nuwab are open to the public, unless the government requests a closed session. In February and March 2011 protestors took to the streets in increasingly large numbers calling for reform. These protests descended into violence, prompting a security crackdown, backed by GCC forces. HM the King declared a State of National Safety on 16 March 2011, and then lifted it on 1st June 2011 once security had been re-established. However, deep underlying sectarian tensions remain and the process towards achieving reconciliation and genuine stability may take some time. A recognised global centre for Islamic Finance in particular, Financial Services contributes approximately 25% of GDP. Manufacturing contributes 16% and the oil & gas industry, 13% of GDP. Bahrain has embarked on a programme of privatisation, which includes telecommunications, electricity and water, the ports and airport services. Bahrain is one of the UK's smallest export markets in the Gulf countries and is a major trading hub and financial centre in the Middle East. Trade in goods between the UK and Bahrain remains strong, witnessing a slight increase in UK import and export figures in 2011 compared to the same period in 2010. UK exports to Bahrain in 2011 were approximately £236 million, a 2% change over the 2010 figures. UK imports from Bahrain in 2011 were approximately £163 million, increasing by 1% over the 2010 figures.